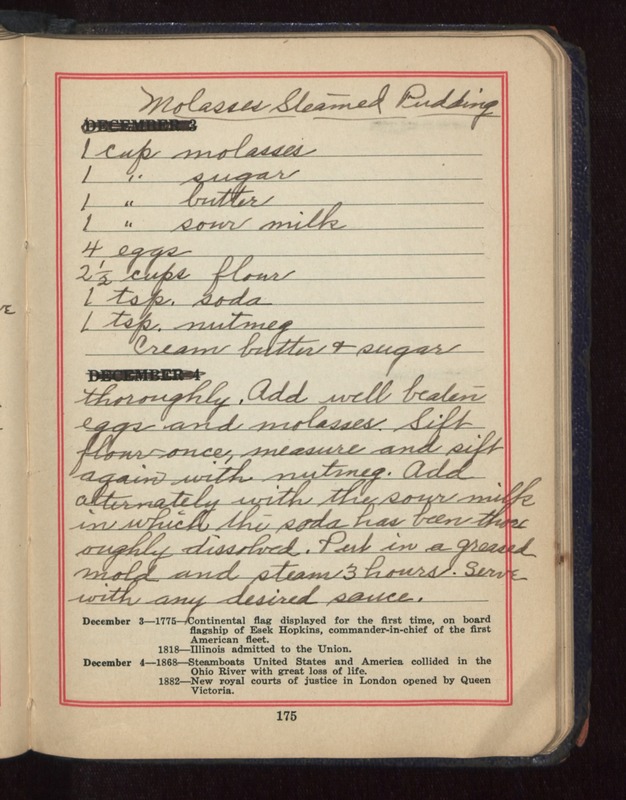 Molasses Steamed Pudding 1 cup molasses 1 " sugar 1 " butter 1 " sour milk 4 eggs 2 1/2 cups flour 1 tsp. soda 1 tsp nutmeg Cream butter and sugar thoroughly. Add well beaten eggs and molasses. Sift flour once, measure and sift again with nutmeg. Add alternately with the sour milk in which the soda has been thoroughly dissolved. Put in a greased mold and steam 3 hours. Serve with any desired sauce.